Metastatic prostate cancer involving femur in a 88 y/o male. 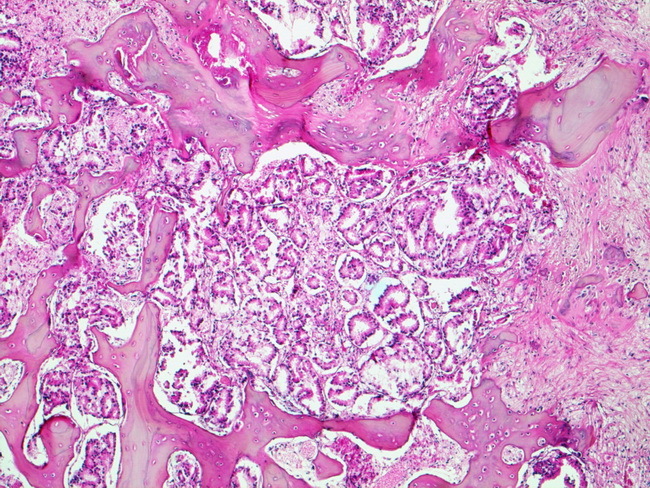 Malignant prostate glands are surrounded by areas of new bone formation. Such areas appear as "hot spots" due to increased uptake of isotope on radionuclide bone scans. Bone scans are highly sensitive in detecting skeletal metastases and form a part of staging work-up in intermediate to high-risk patients.